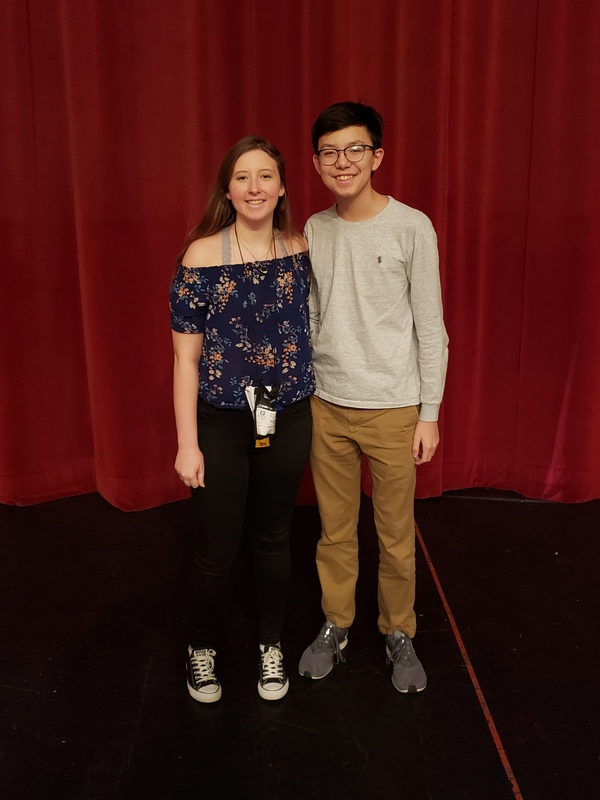 Sophomores Sarah Resch (L) and Andrew Wittkamp pose for a picture after being elected to be STOs for the Indiana Thespians for the 2019-2020 Conference Season! At the Indiana Thespians State Conference on January 18-20, two of Munster Theatre Company's leaders were elected as State Thespian Officers. They will serve as student leaders for the 2019-2020 conference season. Responsibilities include offering student input on activities offered by the Indiana Thespians, as well as hosting various elements of the annual Leadership Retreat, Regional Conferences, and State Conference. The application process included two stages. The first was an online application consisting of video responses and Troupe Director recommendations. From there, the field was narrowed down, and those who advanced engaged in in-person activities at the State Conference before being voted on by the current STOs. Sarah's and Andrew's election mark the first time that MTC has had students serving on the state board.